Ranger Bec And The Bird Week Flockstars! And so the sand has settled on another successful Fraser Island Bird Week. The Twitchers have gone and our feathered friends are again ruling the roost, without prying eyes checking out their 'crowns', 'napes' and 'lores'. It was another incredible week filled with laughter, stories and a celebration of the one thing that brought us all together - the birds of Fraser Island. Despite the wet start to the week, sightings started flooding in from the get-go and our avid twitchers refused to let the weather dampen their spirits. All the usual suspects were spotted in and around the resort including Honey-eaters, Welcome Swallows, Rainbow and Scaly-breasted Lorikeets, Eastern Yellow Robins and Eastern Whipbirds. In the skies above, local Whistling Kites and Osprey (see above pic) were enjoying the fresh conditions and making use of the thermal pockets. 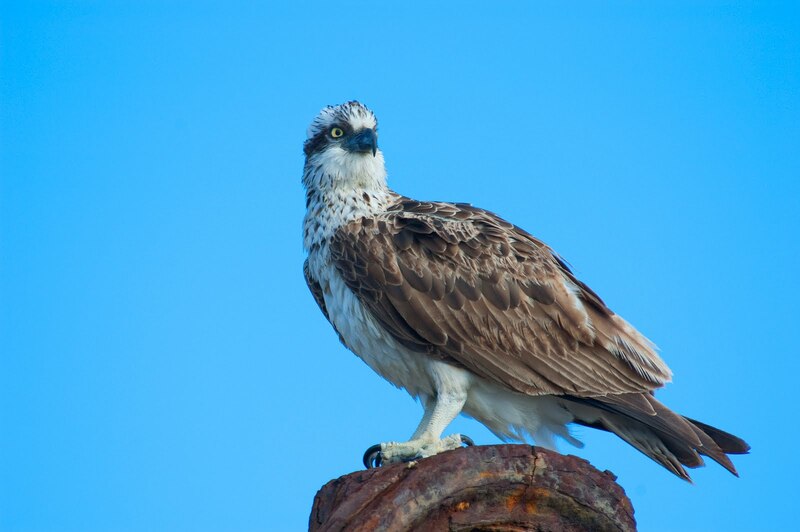 The Hervey Bay Sites tour, conducted with the help of our friends from the Hervey Bay Bird Watchers Club, proved popular giving our guests an opportunity to cross some species that aren't found on the island off their personal sightings lists. We saw nesting Jabirus complete with their chick as well as the local Brolgas at Garnet Lagoon. The highlight for the week in and around the resort was the presence of a lone Little Lorikeet who unsuccessfully tried to hide with a flock of Scaly-breasted and Rainbow Lorikeets. This was a fantastic spot by our eagle-eyed twitchers, as we haven't seen one of these since Bird Week 2007. In total some 133 different species were spotted during the festivities. Numbers were down slightly on last year due, in part, to irregular weather patterns.